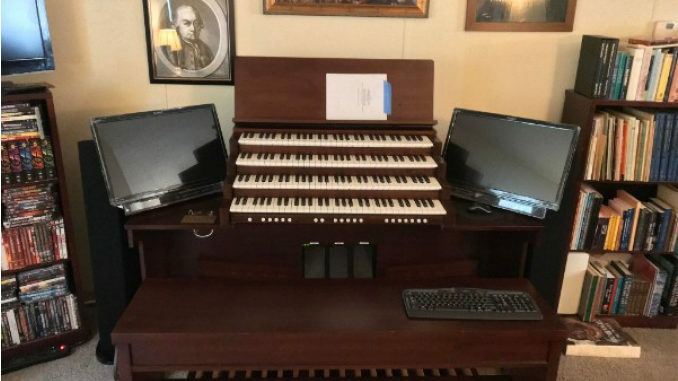 We are pleased to inform you that Joseph’s new digital pipe organ has arrived and practice has begun! Because of delays in delivery, Chuck was able to negotiate an additional discount on the final organ price. After paying the organ maker, we have $3,536 remaining in the Crowdfund bank account. We intend to use these funds to reimburse Dr. Farrell for a portion of the installation staff costs and to fund existing and future insurance cost. We will post a final accounting and report on the Crowdfund website and close out the bank account by Thanksgiving. Thank you all again for your support and patience. You have made this possible, and we are deeply grateful! Stay tuned at Giza Death Star for reports from Joseph on life with a pipe organ. Copyright © 2017 The Joseph P. Farrell Virtual Pipe Organ Crowdfund, All rights reserved.